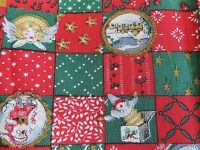 Vintage Peter Pan Fabric - Red, Green & Gold Squares w/ Christmas Pics 44" x 84"
fyvie.star.crafts.ltd has no other items for sale. Please give our terms special attention if you have ordered over 500 grams of fabric , after 4pm or ordered on the week end. Listed below is a reminder of our terms and conditions that are currently posted within the listing when a purchase is made: Any one given order or any multiple orders made within a 24 to a 48 hour period and weighing over 500 grams or or falling into the parcel class teir possibly will be grouped together and sent by 3 -5 day courier with possible a 1 -2 day dispatch. Due to the possibility of a 2 day dispatch and ordering after 4pm, Ebay's estimated delivery time may be exceeded by 1 or 2 days. Please note Saturday and Sunday are not considered dispatch days. Please take note if you have ordered 2 lots of fabric with 2 separate transactions being the same colour we possibly will send this is one continuous length. If your concerned about paying more postage in this case we ask that you combine these 2 purchases in your basket for the postal discount. If your ordering something thats over 500 grams or valued at more than 10 Pounds or Larger than a letter and or being large enough to be classed a parcel please select the 3-5 day other courier option this possibly can be hermes or collect plus. The following are examples of items that weigh 500 grams or more and to be larger than a letter and have become a parcel. • Premium Crushed Velvet – 3 meters or more . Super Premium Crushed Velvet - 3 metres or more • Poly-cottons printed or plain – more than 5 meters • Satin – more than 6 meters • Organza – more than 6 meters • Bi Stretch – more than 1.5 meters • Fleece – more than 2 meters • Dress net – more than 6 meters • Anti Static Dress Lining - more than 6 metres . Calico - More than 2 metres . 100 % Cotton Poplin - more than 2 metres . PVC products - more than 1.75 metres . 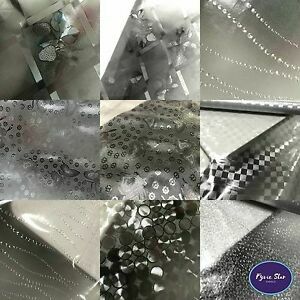 Foil Lycra - more than 1 metres . Canvas - more than 1 metre . Curtain Lining - more than 1 metre 1 ) If your combined purchases made within a 24-48 hour period weigh 1 kilo or more, please select the “other Courier” option when checking out. You will receive a tracking number for your package. 2 ) If you wish 1st Class or overnight request an invoice when checking out. 3 ) For next day dispatch, orders must be placed prior to 4pm. Orders received after 4pm will not be dispatched the next day but the following day. The exception is for orders placed before 4pm on Friday which will be dispatched the following Monday and orders placed after 4pm on a Friday will be dispatched on Tuesday. 4 ) Please also note that an order marked as dispatched indicates the start of the cutting and packaging process and does not necessarily mean the package has been mailed at that moment. A lot of times we will mark your package dispatched the night before we post it.Due to the possibility of marking your delivery dispatched, Ebay's estimated delivery time may be exceeded by one day. Please note Saturday and Sunday are not considered dispatch days. 5 ) Customers ordering from North America and Australia must always request an invoice as our standard International Postage does not apply to those countries. 6 ) All fabric comes to you off a roll and will be processed in one continuous piece even if ordered separately on the same day and also unless you contact us to inform us that you want separate orders cut individually as separate pieces. Fat Quarters are always pre cut. Please note: 1st Class Royal Mail is not guaranteed next day. For guaranteed next day delivery please use Special Delivery Guaranteed. If you require assistance, please call 07450 832079 and we will be happy to help. Thank you for your custom. There are 20,757 items available. Please enter a number less than or equal to 20,757.
we require purchases to be make by 4pm for next day dispatch otherwise it will be posted in 2 days instead of next day. Please be advised that if your package shows dispatched this means we are starting to process your order its does not mean it was mailed at that moment. Ebays Estimated delivery times are not always accurate hence being called an estimate. First class is not Guaranteed next day delivery by the RM.